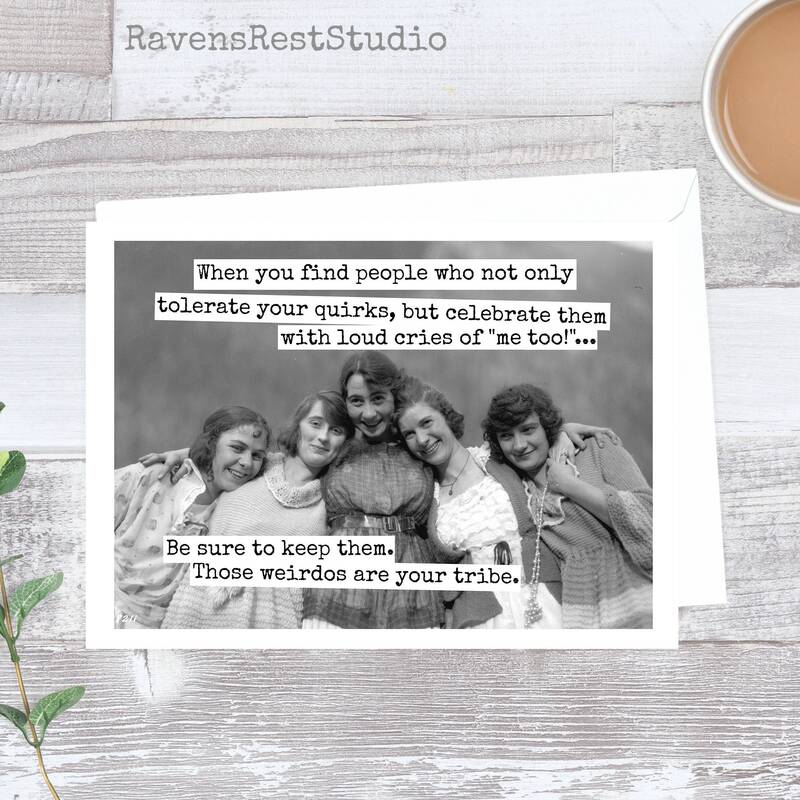 This card features a group of girlfriends and reads: "When you find people who not only tolerate your quirks, but celebrate them with loud cries of "me too! 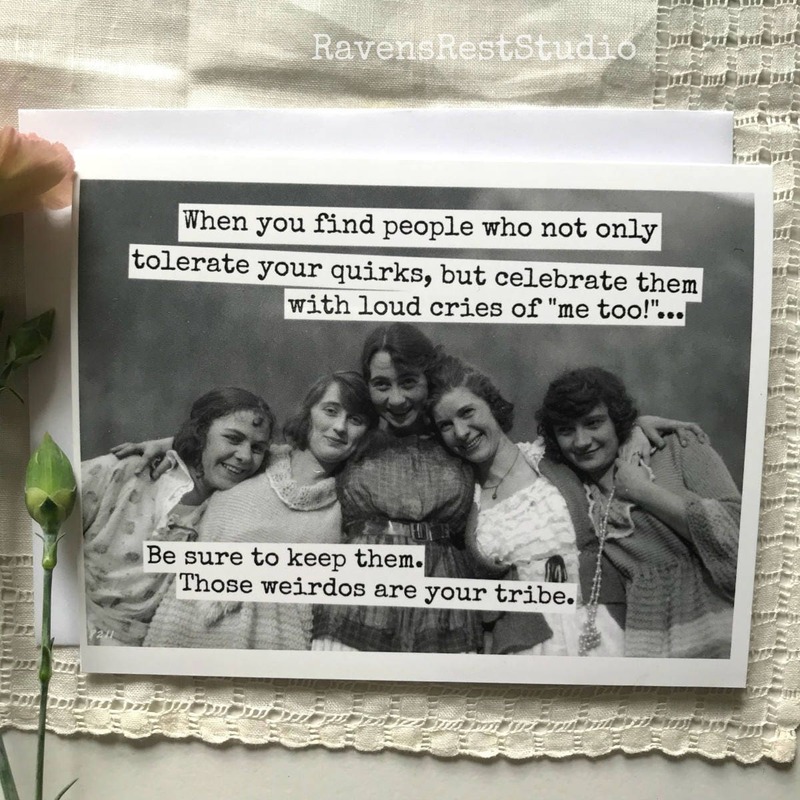 "...Be sure to keep them. 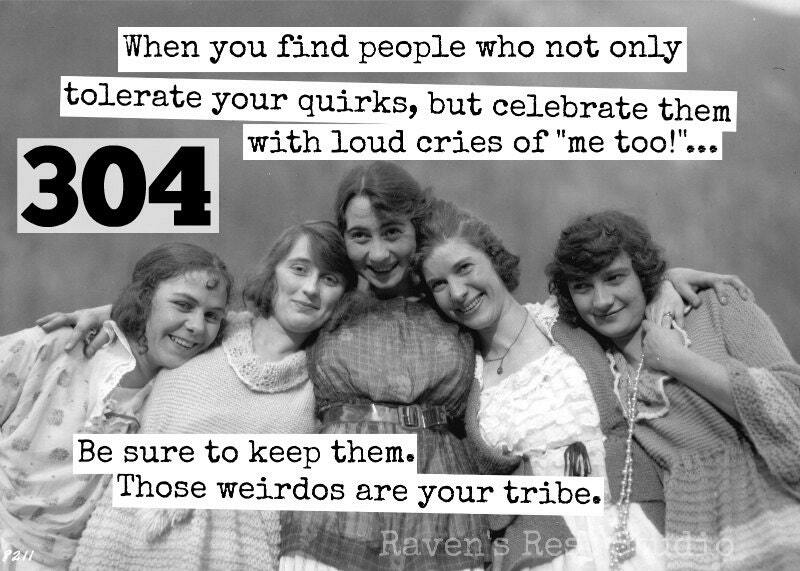 Those weirdos are your tribe." 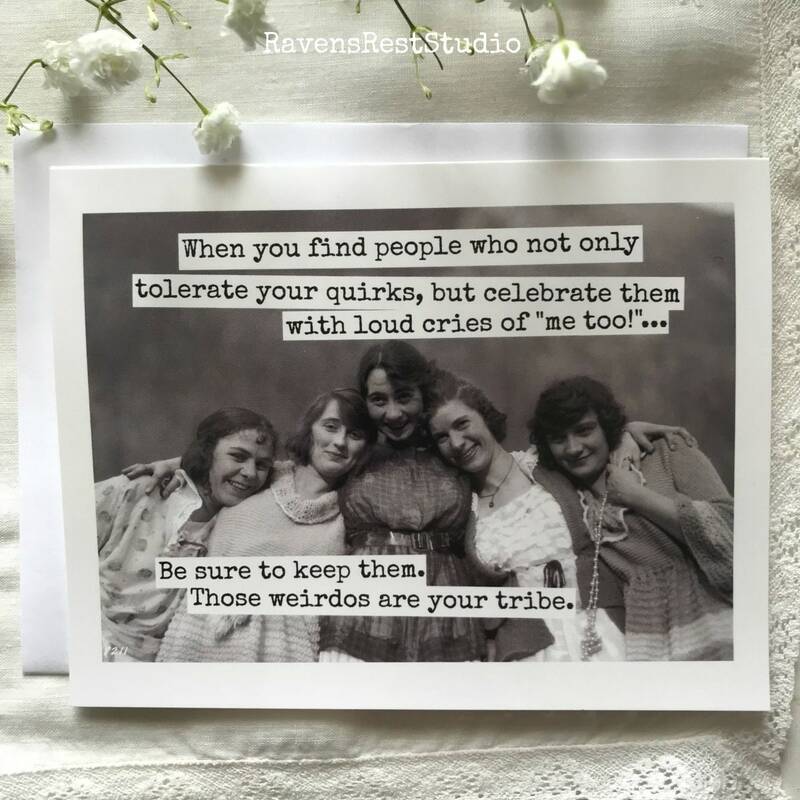 I bought this card for my best friend's birthday ... the sentiment is perfect and she loved it! 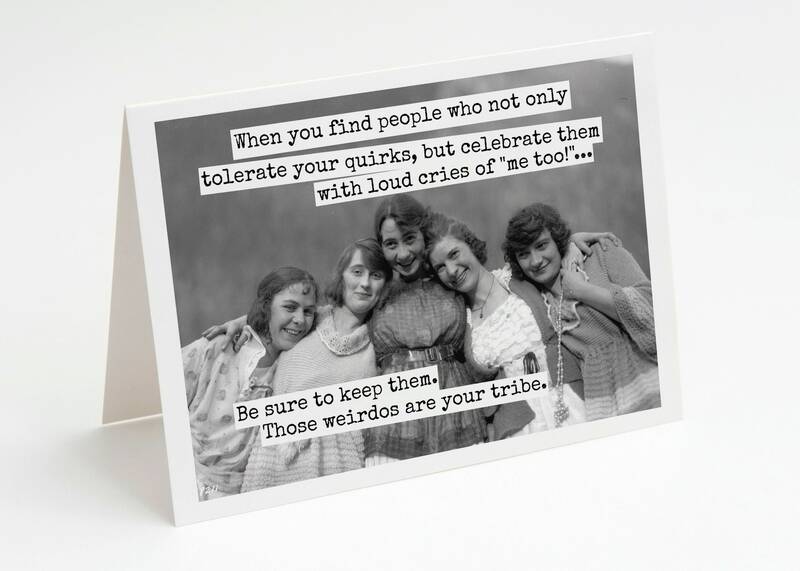 I had trouble deciding on just one card as so many had me laughing out loud, so I know that I'll be back to purchase more. Thank you!